Hungary: Zero Tolerance for Anti-Semitism? Karl Pfeifer is an Austrian born journalist of Hungarian Jewish origin and a member of the board of the Archives of the Austrian Resistance. He is author of several books; a movie about his life can be seen here. He frequently lectures at schools in Austria and Germany (and hopes to visit the US to lecture as well). Prime Minister Viktor Orbán declares repeatedly that in Hungary there is zero tolerance for antisemitism. A recent opinion research poll among Jews in Hungary shows that they feel less threatened physically or verbally but that antisemitism has become stronger since the last research in 1999. Why do Jews feel this way, despite Hungary’s good relations with Israel? Because they know that the government propaganda against George Soros, even without mentioning his Jewish origin, is antisemitic. The same goes for the attempts of Orbán and his close friends to rewrite Hungarian history. Orbán was the most ardent supporter of erecting a statue to honor the antisemitic Bálint Hóman, minister of education during the Horthy period, later a supporter of the Hungarian Nazi Arrow Cross Party. 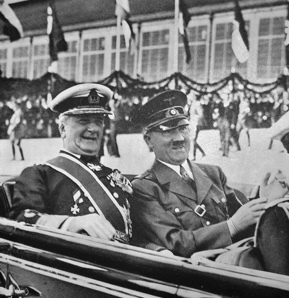 Orbán has also praised Regent Miklós Horthy as “a great statesman.” Horthy was partly responsible for the deportation of almost half a million Hungarian citizens to Auschwitz-Birkenau. The counterrevolutionary government appointed Iván Héjjas a first lieutenant, in the summer of 1919 to organize a military unit in Kecskemét and vicinity. In mid-November, when the country was still under Romanian occupation, Héjjas wanted to punish communists and Jews (he could not differentiate between the two). He commenced in Kecskemét and its vicinity with his actions. The White Terror in Hungary (1919 – 1921) cost the lives of about 3,000 people. Perhaps half of these victims were Jews. About 70,000 people (mainly labor leaders and political activists, but also bystanders whom their jealous neighbors and colleagues denounced) were taken prisoner. They spent months and, in many cases, years in overcrowded jails and poorly constructed internment camps, where sadistic prison guards often brutalized them. At least 100,000 people, including some of Hungary’s best minds, went into exile to escape arrest and seek a better life in the democratic West or the Soviet Union. Until recently, only right wing extremists and Neo-Nazis tried to rehabilitate the perpetrators. Now this has become part and parcel of the government propaganda, which presents alleged threats of (Jewish) internationalism, cosmopolitanism, and liberalism to the national integrity of the state and nation of Hungary. In a few months, it will be 100 years since the beginning of the White Terror. The post-communist Mafia State of Prime Minister Orbán has already started to whitewash the “patriotic” gangs of perpetrators of horrendous crimes.